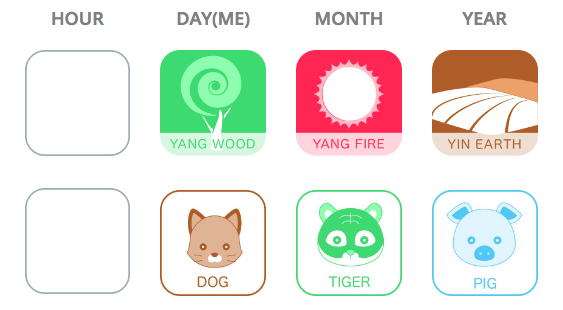 Dog and Tiger are forming Fire structure, with Yang Fire and Yang Wood joining them. Pig’s Yang Water is diminished, combines with Tiger to increase the Wood. To subscribe to these alerts download our iPhone app or activate notifications in your browser with the red button in the bottom left corner. If you would like to send us feedback, contact us over the chat.